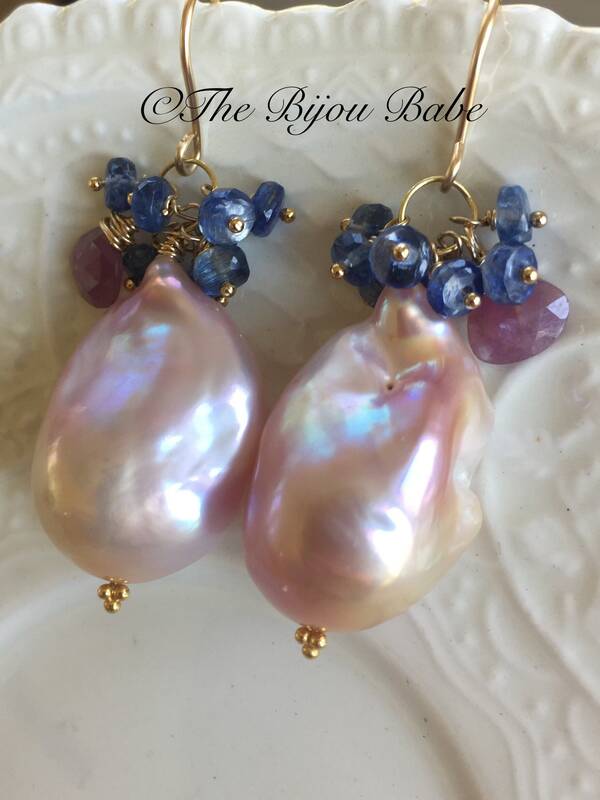 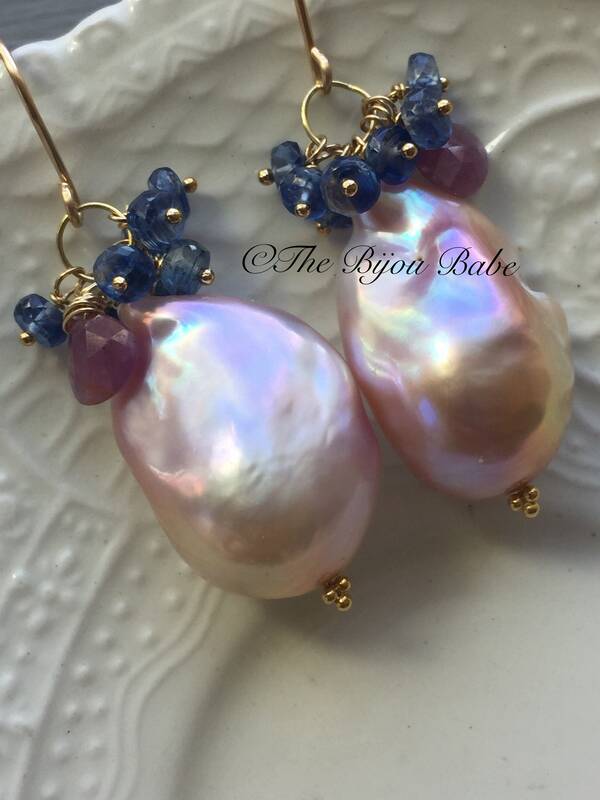 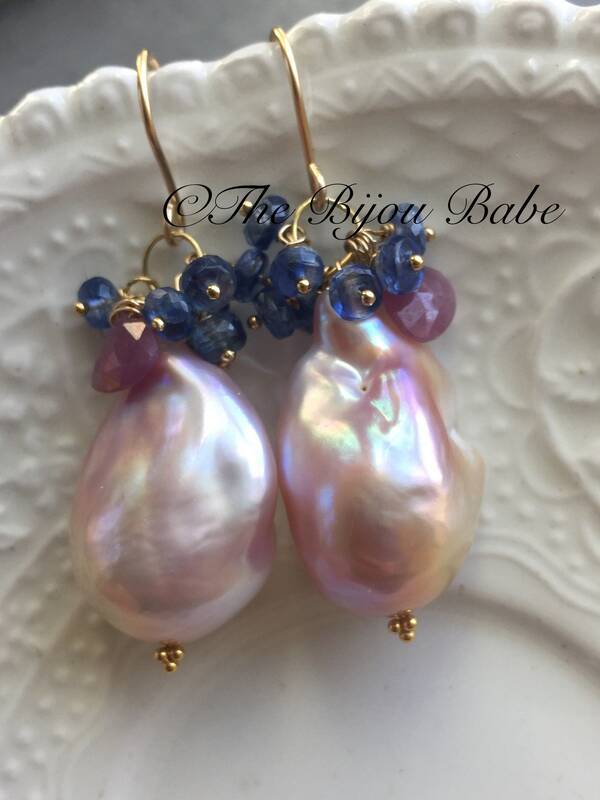 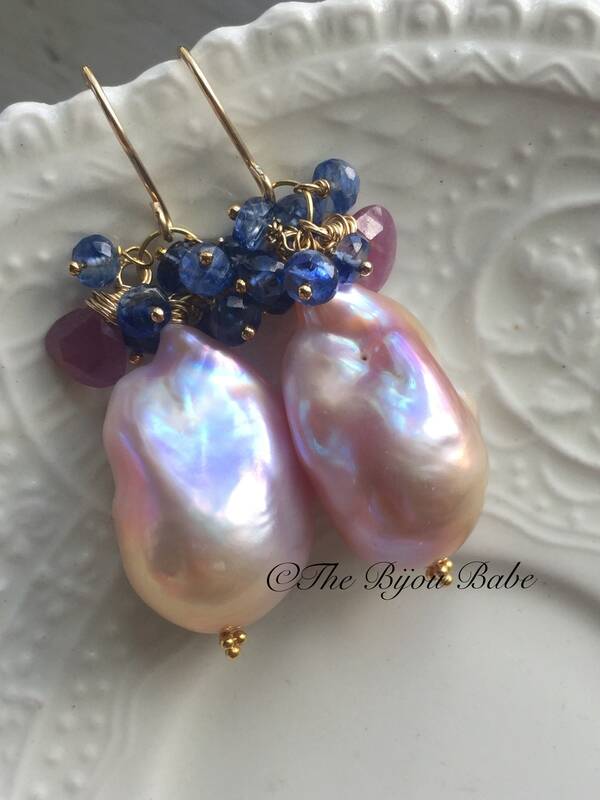 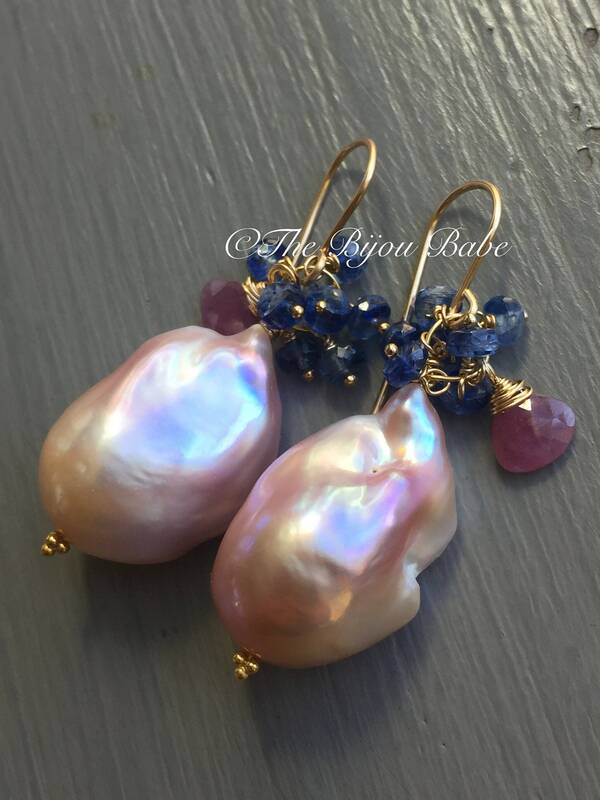 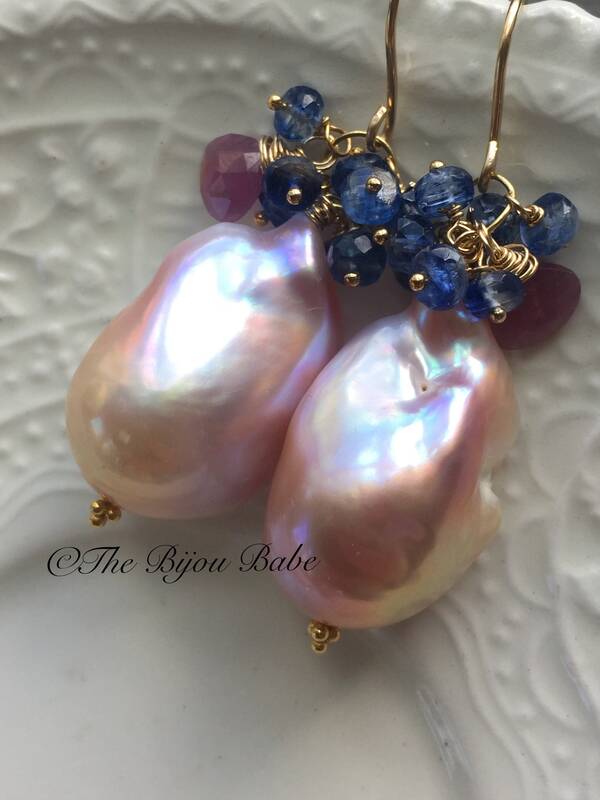 Amazing blush baroque pearls with a beautiful orient of lavender and blue. 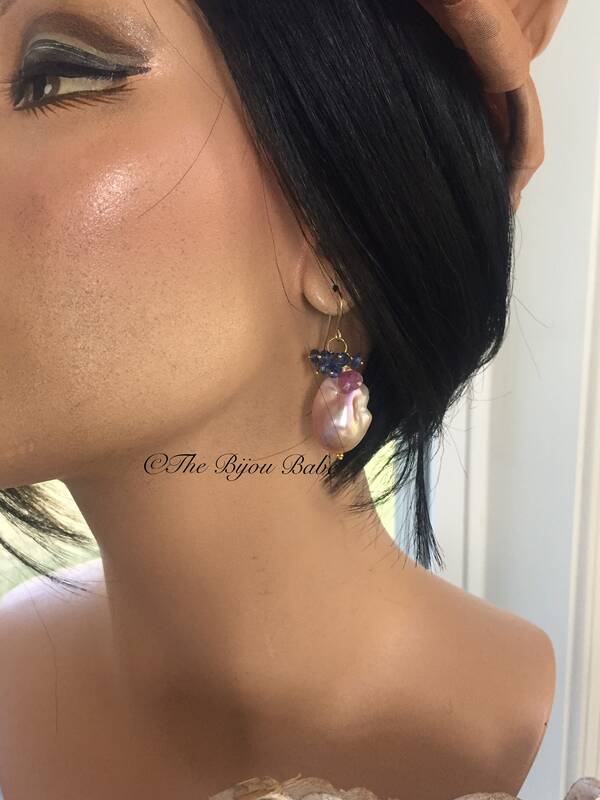 These large beauties are incredible statement making earrings, topped with royal blue kyanite rondelles, and a single pink sapphire briolette on one side to add a bit of whimsy. 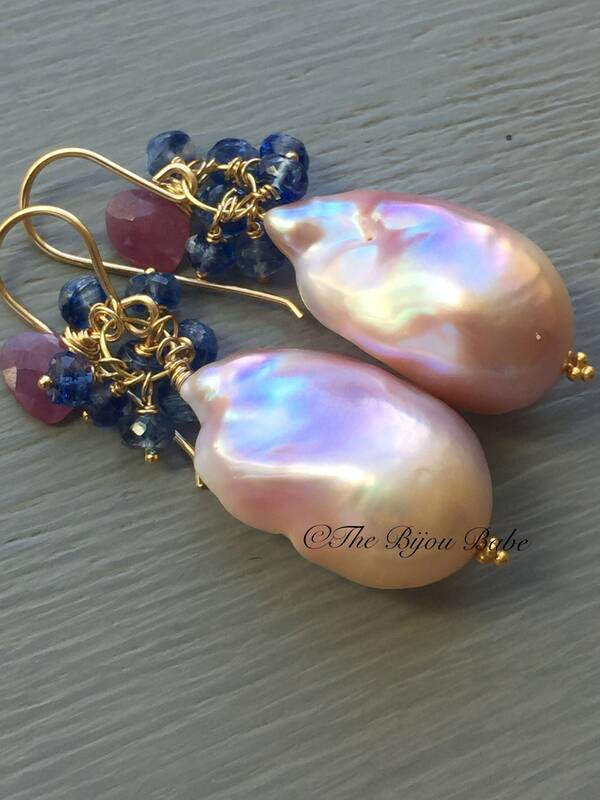 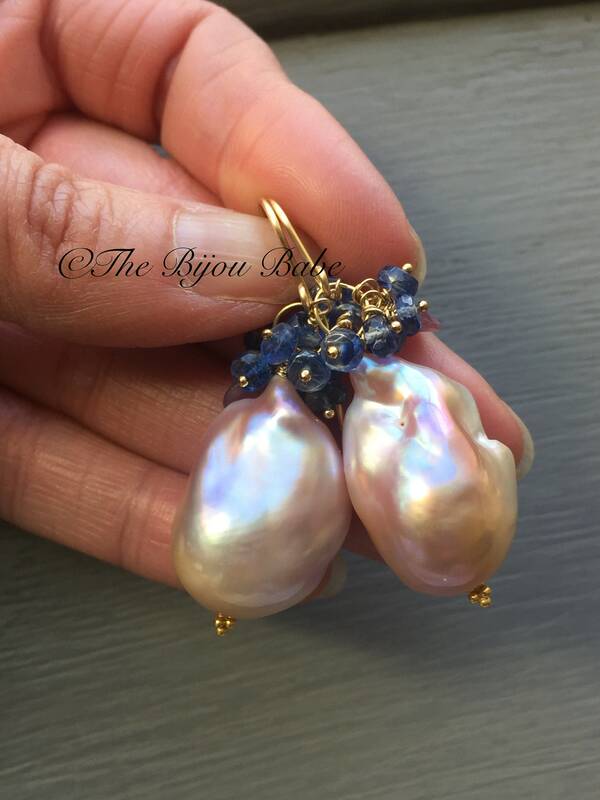 Your earrings will ship USPS Priority Mail in the US, with tracking in the US, and will be presented in a signature "The Bijou Babe" gift box for safekeeping or gift giving.